Oil, whole wheat bread, yogurt, dairy desserts, soymilk, frozen vegetables and toilet paper. Those are the products the Minister of Finance, Yair Lapid, intends to include into the list of regulated products. Following this call, Consumer Council CEO, Mr. Ehud Peleg, has praised and congratulated the move of the Minister of Finance, saying: "We are pleased and we strengthen the Minister of Finance for this important and right step he has instituted today. A healthy economy is not only a free market. It is also regime of brakes and balances. The goal of healthy economy should be mostly fair market for both businesses and consumers. Sometimes governmental protection of consumers is necessary. Council CEO adds: "Modifications in economic policy will have long-range consequences. Meanwhile, there is a short run. The population eats already today, every day, three times a day and analyses the situation whenever they stand before the shelf in the food store. Therefore, it is recommended that long-range economic plans (encouraging imports, developing competition, dispersing centers of power) will not be at the expense of short-term measures, such as prices control, even if limited in time". Israel Consumer Council intervenes in several ways in order to improve the consumer's situation and help fighting against the "cost of living". Within this framework, the Council has requested more than once from government authorities and various government offices, to increase the number of 'regulated products' and to add 'healthy products' to this list. All this, as part of the measures it has recommended in the short-term along with measures on long-term planning. The Minister of Finance has contacted the Chairman of the Prices Committee and has asked him to examine the possibility to impose price controls on a number of food products. 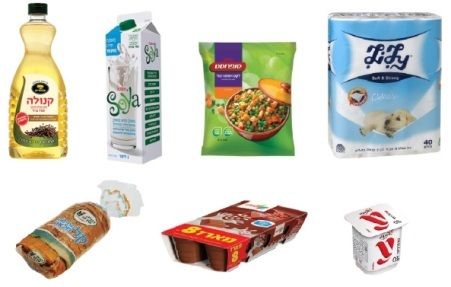 Among the products: canola oil, whole wheat bread, yogurt, dairy desserts, soymilk, frozen vegetables and toilet paper. "There is no other alternative but to adopt the most stringent tools, including price controls, in order to restore the prices to a level that the public can afford. Our goal is to obtain lower prices, which would allow citizens to have a purchasing power similar to developed countries", Lapid wrote.